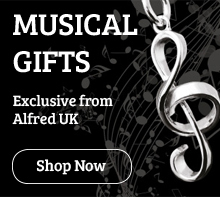 Alfred's Ultimate Movie Instrumental Solos series arranged for flute, clarinet, alto sax, tenor sax, trumpet, horn in F, trombone, violin, viola, cello, and optional piano accompaniment. All wind instrument arrangements are fully compatible, and can be successfully performed as ensembles or solos by students who have completed the first book of any standard band method. A fully orchestrated accompaniment MP3 CD is provided, featuring each song as a live performance demo track followed by a play-along track. The CD also contains a PDF of the Piano Accompaniment and Alfred's Tempo Changer Software. Contains 60 songs, including: Cantina Band * Follow the Yellow Brick Road / We're Off to See the Wizard * Gollum's Song * Hedwig's Theme * James Bond Theme * Obliviate * Pink Panther Theme * Raiders March * Superman Theme * Wonka's Welcome Song * and many more. Due to level considerations regarding keys and instrument ranges, the wind instrument arrangements are not compatible with the string instrument arrangements in this series.